Travel is good for your health—mental and physical. I wrote about the research behind that simple, irrefutable fact. My first article published in 2018, and one of my favorites to report on in 2017! “Thousands of sailors perished in stormy seas throughout the Caribbean in the 15th, 16th, and 17th centuries. Surely they would never have guessed that their terrifying ends would help scientists in the future. But creative researchers have found a link between historic Spanish shipwrecks, hurricanes, and the climate. Read the rest of this story over at Earther, Gizmodo’s newish site for environment coverage. I’m thrilled this essay, about the years I dated in NYC as a childfree woman, found a home at Marie Claire. I’m the New Media Editor at the Cradle to Cradle Products Innovation Institute! I’ve been working with the organization for a couple of months to determine if it’s a good fit. I’ll be managing social media, writing, and editing for the innovative non-profit organization. The Cradle to Cradle Products Innovation Institute is a non-profit organization created to bring about a large scale transformation in the way we make things. Our mission is to guide product manufacturers and designers in making safe and healthy products for our world. The last piece I published in 2015 was also one of my favorites. 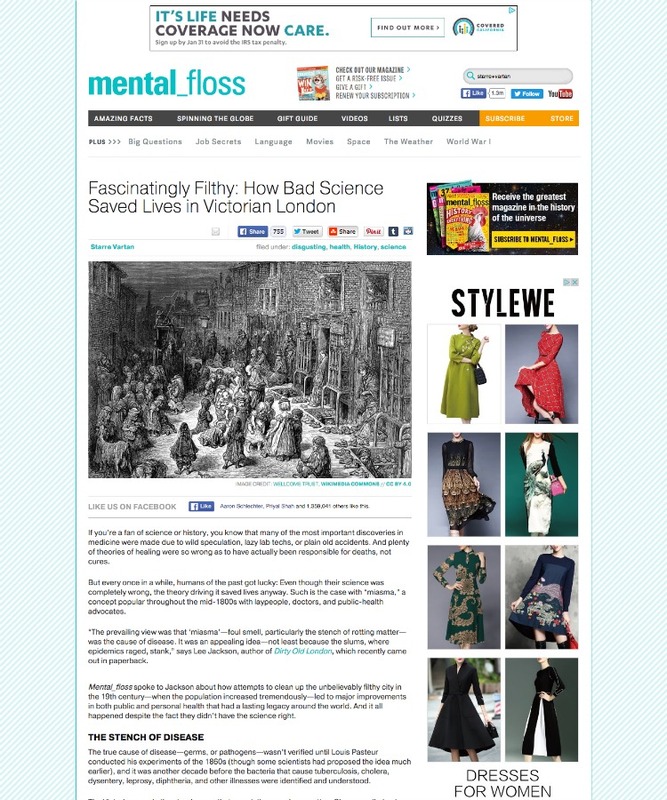 I covered how a public health crisis in London, incorrectly attributed to miasma, ended up saving lives (even though the science was wrong!). 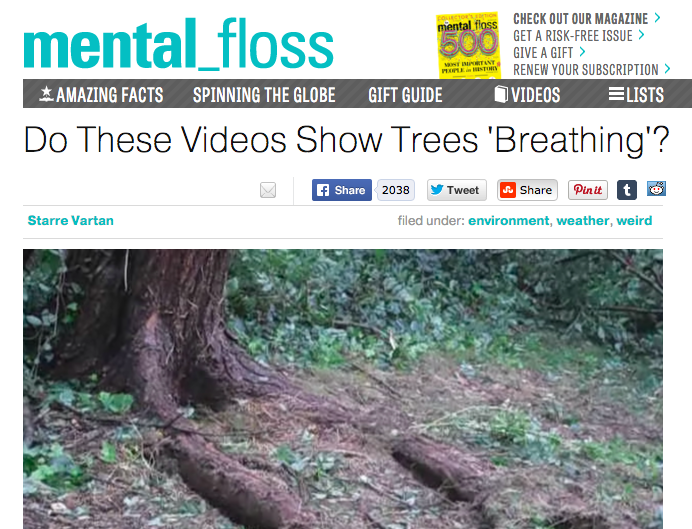 Do These Videos Show Trees “Breathing”? I Was Called an “Insanely Inspiring” Eco Activist! 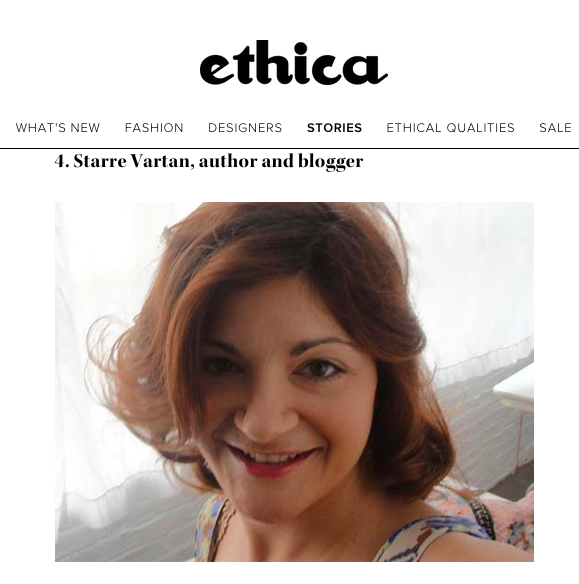 Starre Vartan, founder and editor of Eco-Chick, was one of the early bloggers and writers around the eco-fashion space. She has been out there building content and educating people. Education has always been a really important propellant in driving this movement forward, so I applaud her work. 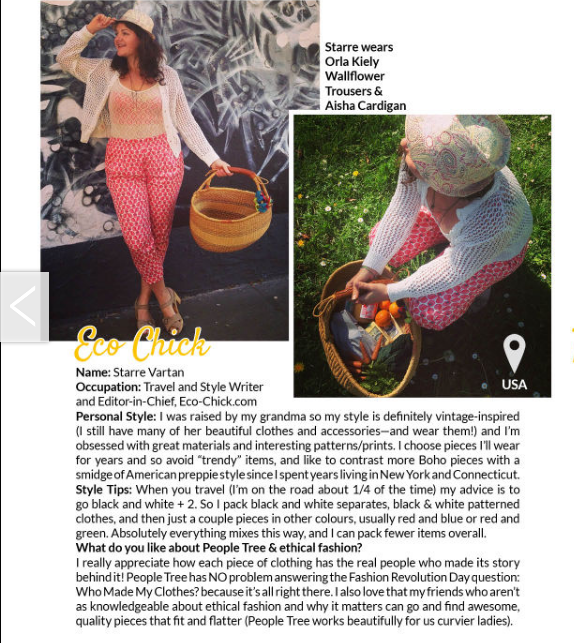 See My Ethical Fashion Ensemble in People Tree’s Magazine The Eco Edit. I have been a longtime fan of People Tree (the UK’s oldest ethical fashion brand), and I got the fun chance to choose an outfit and model it. I featured the ensemble on Eco-Chick, and People Tree also chose to highlight me in their fun quarterly magazine, The Eco Edit. 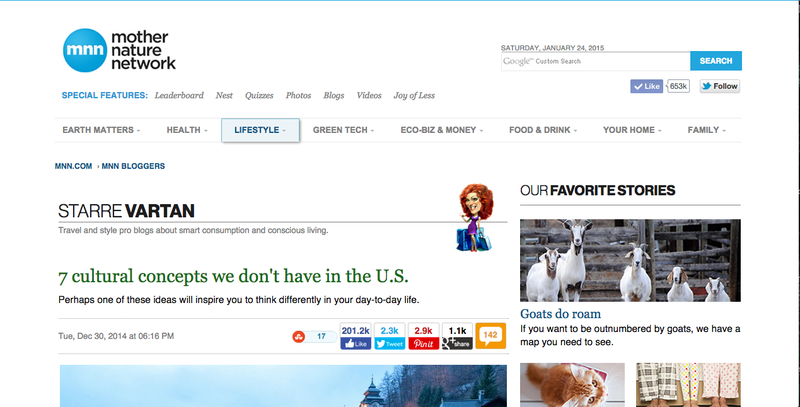 My Article “7 Cultural Concepts We Don’t Have in the US” has over 200,000 Shares! I’ve written lots of articles in my time, and I’ve had plenty go viral, but I think this is the first one I’ve ever had to go super-viral! And it’s one of my most favorite things I’ve written about too. Check out the full article on MNN.com here. 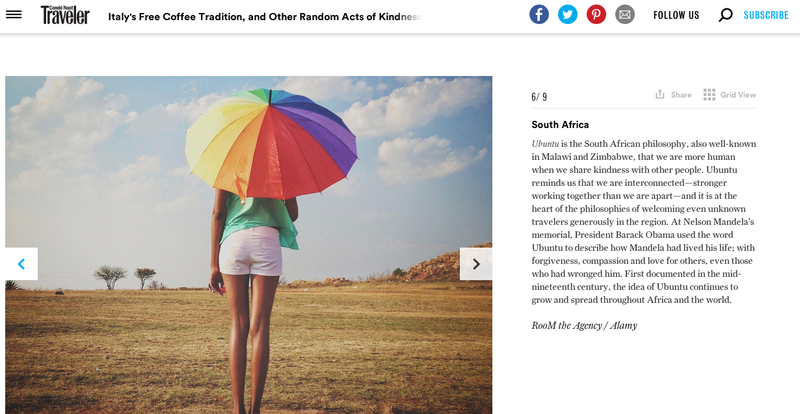 Check out my first contribution to Conde Nast Traveler: “Italy’s Free Coffee Tradition and Other Acts of Kindness” What an inspiring way to start the New Year!